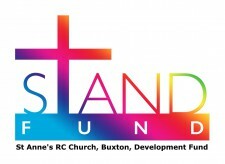 There are a number of ways you can help St Anne’s Development Fund (STAND) mainten, repair and improve our Church, Presbytery and St Anne’s Community Centre. If you are fortunate to receive a lottery win, a raffle ticket cash prize, a Premium Bond pay out, or your long-term ISA or other investment matures, why not share some of that good fortune to support our parish maintenance, repair and improvement programme? You can donate online here (and Gift Aid your donation) or use a STAND donation envelope at the back of our Church. If a special event occurs that’s a cause for celebration, why not express your good feeling by a small donation? You can leave a message on our BT MyDonate page. Easyfundraising and Easysearch are two great ways to raise money for us as it costs you nothing! Here's how to fundraise for STAND by your online shopping - at no extra cost to you. There is also an Easyfundraising app for iOS and Android devices (mobile phone, tablets). All you need to do is visit your App store on IOS or Play store on Android and download it (its free). You can also download a ‘Donation Reminder’ so that if you forget and go directly to your online retailer, it’ll ask you if you want to raise a donation. Make free funds for us rather than profits for Google! We get 0.5p for every search you make using the Easysearch search engine. You don’t have to register. Why not make it your home-page? Pennies eventually turn into £s! We have had some success in applying for grants and receiving donations to help improve our Community Centre but there is still much to do to it and our Church. We really do need your continued support. Perhaps leaving a legacy is something you might not have considered? If you would like to donate or arrange a legacy or to help with fundraising, grant-searching and applying, please get in touch by emailing stannesbuxton@gmail.com, or by telephoning 01298 23777.